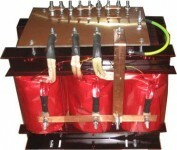 JMS manufacture a full range of 3ph transformers. These can be manufactured to order in days not weeks and we do stock many standard three phase transformers. The JMS transformers can be supplied as open style or in enclosures to IP23 through to IP65. Some applications for our three phase transformers are for isolation, step up, step down, Dc transformers and 3ph control transformers. As a transformer manufacturer we can design and build custom and bespoke 3 phase transformers to your exact requirement. These built to order transformers are not supplied at a higher price compared to our standard stock and can be customised to include controls, protection and power outlets. Typical Voltages provided act as a guide only. 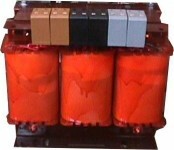 As an example, we could provide with ease 380v, 400v and 415v or 200v and 208v for Japanese and American Supplies. These Voltages are by no means limited to what we can supply and only serve as a examples.